I still remember this collection like yesterday. 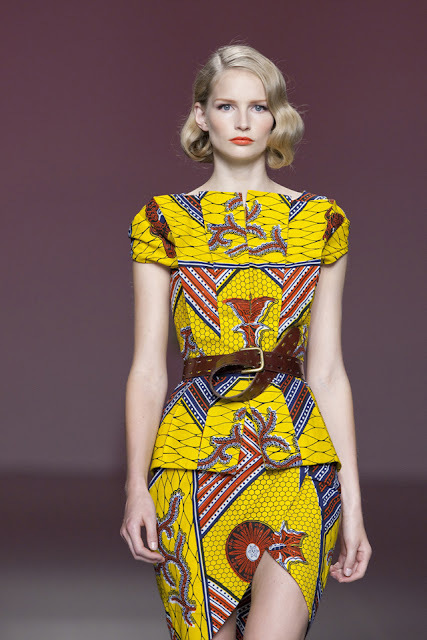 It was back when western designers started making full collection with the kitenge, Ankara, African print whatever. Before Burberry and Stella jean there was Juanjo Olivia. This collection never gets old . There you have it girls I think the collection is just amazing. My guess is this is just a one time thing but I cannot wait to see more from this designer. I know he is not an African designer but I am happy to finally see more Ankara in the runway. So what say you ? 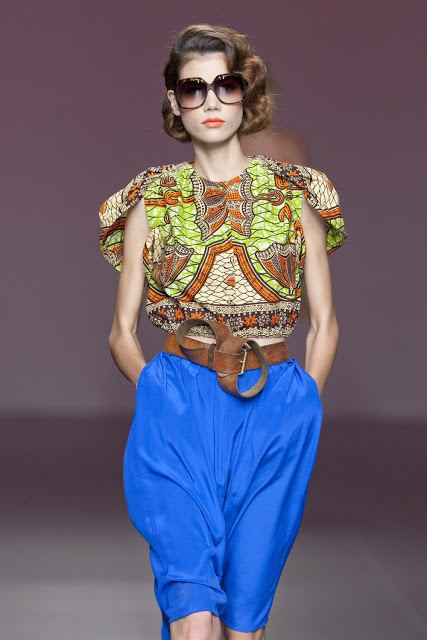 Juanjo Oliva is an spanish designer and I am so happy to see that he has used african fabrics for his SS10 collection. I just love the blue dress (4th pic from down). That's really really inspiring. In love with the first outfit! 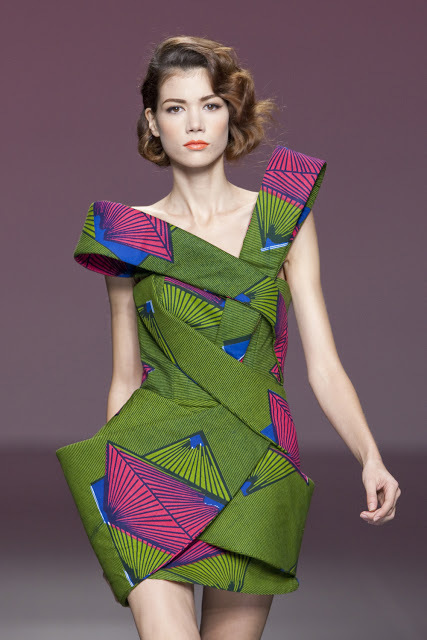 I loveeee this collection! Drolling! 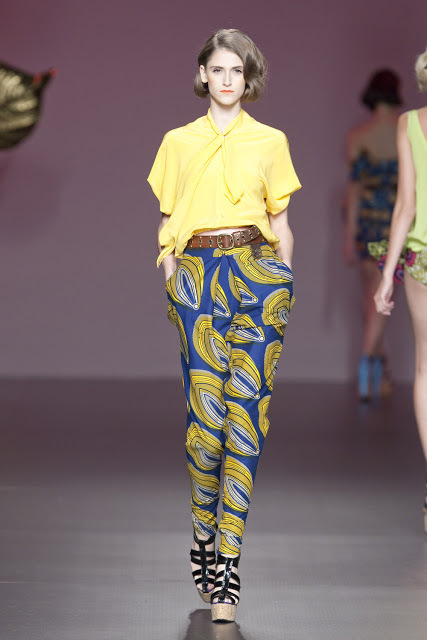 Thanks for reissuing this collection....I love the totally fun prints & wearable outfits!!! Ah! 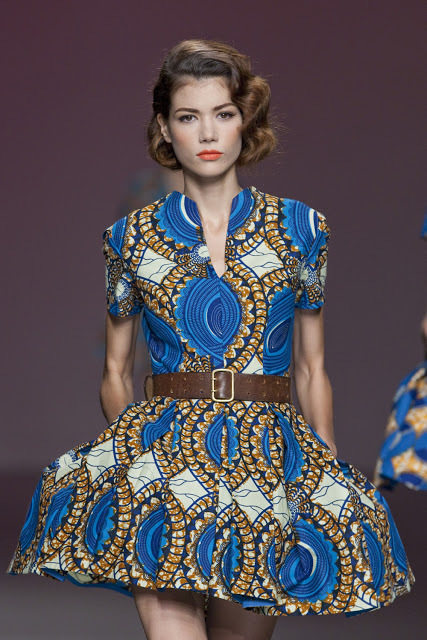 Nothing like a fitted bodice and a full skirt...and I see some of the pieces have really intricate cuts. I like!